As some of you may know, I was a huge elf fan and bought the most ridiculous amount of products from their website. 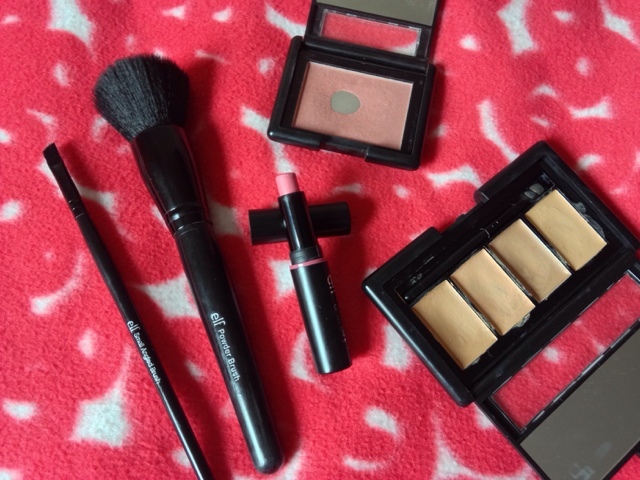 The cheap prices of the products and the frequent discounts always attracted me to the cosmetics but there was so many disappointing products or stuff I've just not tried enough to like. However, I have found some amazing products that I use as part of my daily routine and recommend you try out. 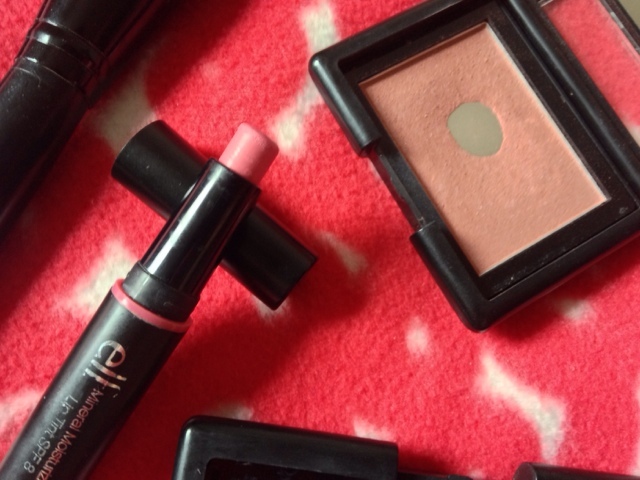 My ultimate favourite product from elf has to be the blushes in the studio range. I cannot even begin to explain how amazing they are. My favourite, which I have just hit pan on (and now repurchased) is the blush in the shade Mellow Mauve. It is the perfect shade for my skin tone, not too pink but still gives a nice flushed colour to my cheeks. I love that it blends perfectly with my bronzer so there's no harsh lines. I like to apply it with a tapered blush brush but I have used it with a stippling blush brush to get a slightly more pigmented finish. Like most blushes, it's best to start off light and build up with more product. One of the recent products that I have purchased and loved has been the eyebrow kit in the shade medium. To be fair, I have only started experimenting with brow products at the moment. But, I love the way this product makes my eyebrows look. I'm not actually sure if you're meant to apply the shadow to the actual eyebrow or around it to sharpen the edges, anyone know? But the waxy side is perfect for filling in your brows without making them look drawn on. I use the little brush that comes with the kit but I do find it a tad fiddly. I also use a spooly to smooth out the colour and hairs once I've applied the product which gives it a more natural finish. I've had mixed reviews about some of the brushes from elf, but one of the first brushes I bought from them is actually my most used brush in general. It's the powder brush from the studio range. Oh my, this is such a good brush! I actually use it for liquid foundation but it can be used to apply powder too. It's dense, sturdy and I've never had any fallout from the bristles. The handle is becoming slightly loose from the head of the brush but it's no biggie. If it were to ever fall off I would simply super glue it back into place. There's no way I would go without this brush! The second brush that I have used a lot recently is the small angled brush, also from the studio range. I originally used this brush to tightline my bottom lashline with eyeshadow. I simply dampen the brush and load up some eyeshadow on the tip. I now use this to apply brow gel and it works just as well. You could also use it to do your winged eyeliner but I haven't yet tried this method. Lastly, I have is something I haven't used in a while but was once obsessed with - the concealer kit. 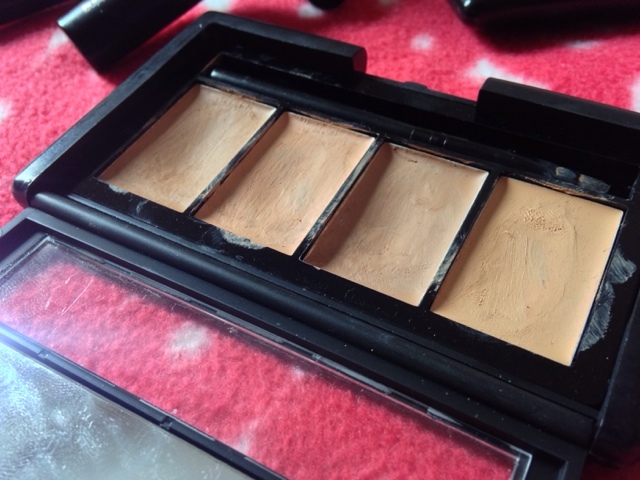 I particularly love this palette in the summer or when I'm on holiday and my normal concealers are too light to fit my tanned skin. It's cute and compact and fits perfectly into your makeup bag or handbag. If neither of the shades match then I simply mix two or three together to get that perfect shade. I definitely recommend this as it's sometimes hard to decide what shade you are when you are shopping online. 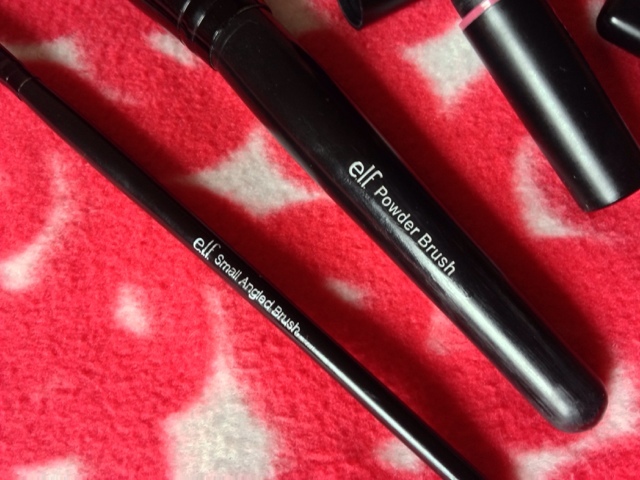 These are my top 5 elf products, let me know yours in the comments below and if you haven't already, check out the elf website.